Due to all the energy changes we’ve been experiencing lately, I have tweaked one portion of the LifeWeaving Power chart to make sessions more effective. I extended the Source of Information/Who is Involved Section B to include collectives (spiritual and human), the body elemental, and world energy. Now when I begin a line of questioning, I know if we are working on the client’s stuff (self, soul, ego or harmonized trinity), the client’s body elemental (which can hold the key to chronic physical issues), or they are picking up on the collective energy, or the cause of an issue is due to world/ascension/cosmic energies. Yup, healing can be complicated. Procedurally, when I begin a line of inquiry, I check to see who all is involved and make a note of it on my worksheet. 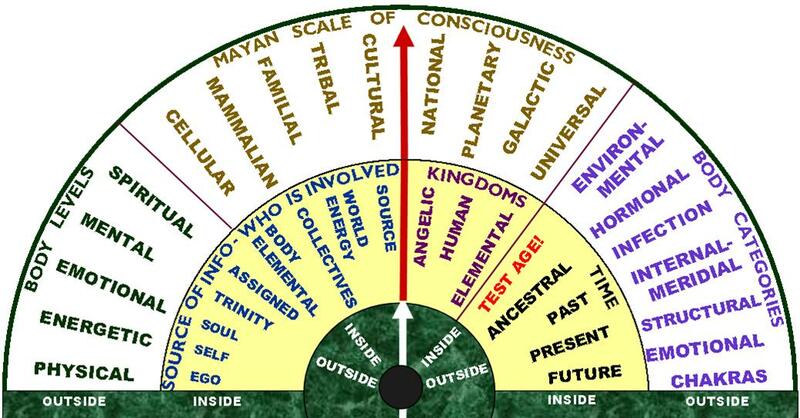 When complete, I confirm (by going through the Completion Check on the Research chart) ensuring that Ego, Self, Soul, Trinity, Collective, World Energies, etc. are all clear. At this point, for example, you might find that just the Self has a bit more to clear and another round of clearing is indicated. That round clears a deeper layer. Once that is complete, I again quickly do the completion check. I made this change due to the increased sensitivity of higher frequency clients who are asking for LifeWeaving sessions. As our frequency goes up, our barriers to surrounding energies go down because we are moving towards the One. This can also include our empathy quotient, how much we feel happening around us. Remember the isolation booth exercise I have often mentioned? Have a client step into a mental isolation booth, take a couple deep breaths, and evaluate how they feel about the issue facing them, whether emotions or pain, etc. Then step out of the booth, take a breath or two, and, again, evaluate how they feel. This way a person can tell if they are being affected more by their environment (world energy) than from within (their own issue) and this knowledge can help them thrive in a difficult world. If you want to upgrade your LifeWeaving Power Chart, I have included a link to the free download for Section B , which you can print out, cut out, and tape to your current chart. You can also order a new updated Power chart or get a pdf file are available at AyniLifeWeaving.com if you wish for $11.97 (plus shipping if you choose to receive the physical chart). If there are any questions or comments, be sure to leave them on this post. Change is good. It means we are still alive! Take care and great ayni! LifeWeaving, source of information, who is involved. Bookmark.